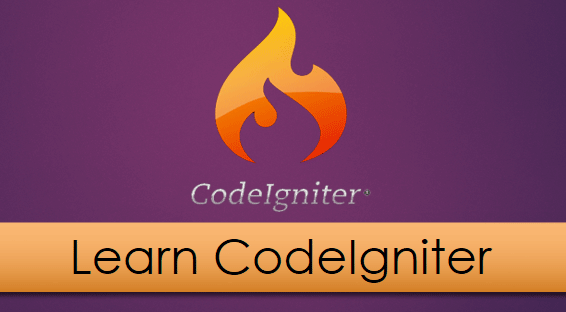 CodeIgniter is light weight Open source powerful PHP Framework for web application development. It has many powerful features that make it popular. CodeIgniter is more compatible with any type of hosting and it has a very low footprint. It is also compatible with PHP4 and PHP5, so CodeIgniter can run on most of the web hosts out of there. Model — Model is the database abstraction layer where all database operations are performed. View — View is the front end user interface or template from where users interact with the application. Controllers — Controllers are the logic of your application from where your entire application directives are operated. CodeIgniter has inbuilt libraries and helpers for the database, URL, cache etc that make it easier, effective and less coding Framework rather than other Frameworks. Now move on and setup CodeIgniter on your local environment. 3: Now unzip your CodeIgniter application into htdocs folder of XAMPP application (By Default C:\XAMPP\htdocs). 2: Download CodeIniter Framework stable version. Click here to download. 3: Now unzip your CodeIgniter application into your document root folder or place in htdocs folder in case of XAMPP application (By Default C:\XAMPP\htdocs). 3: Now upload and unzip your CodeIgniter application into your document root folder. I like Programming and New Technologies. And work with Linux. This entry was posted in CodeIgniter and tagged CodeIgniter, Ubuntu. Bookmark the permalink.